This online conference, taking place June 5-8, will feature fifty top experts and influencers who will share best practices how to effectively participate in the remote revolution. Toptal is very pleased to have two speakers participating in this event. On June 6th at 12:15pm CET: Mario Mucalo, a Toptal developer, will talk about **Debugging Remote Communication. His talk will cover all aspects of the project lifecycle — from specification, to solution structuring, through to implementation, delivery, and support. 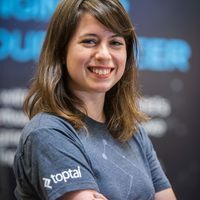 Also on June 6th at 5:45pm CET: Saskia Rysenbry, Director of Design at Toptal, will give a talk titled When Timezones Don’t Matter: Bringing Remote Design to Life. This is an online session and all are welcome to join. To find out more and to RSVP, please see the event website.